I spotted a tiny gathering on a leaf in our front yard recently which tweaked my interest, and I couldn't resist snapping a photo. It consisted of a Green Tree Ant (Oecophylla smaragdina), or part thereof, and a group of tiny ants (probably Monomorium sp.). 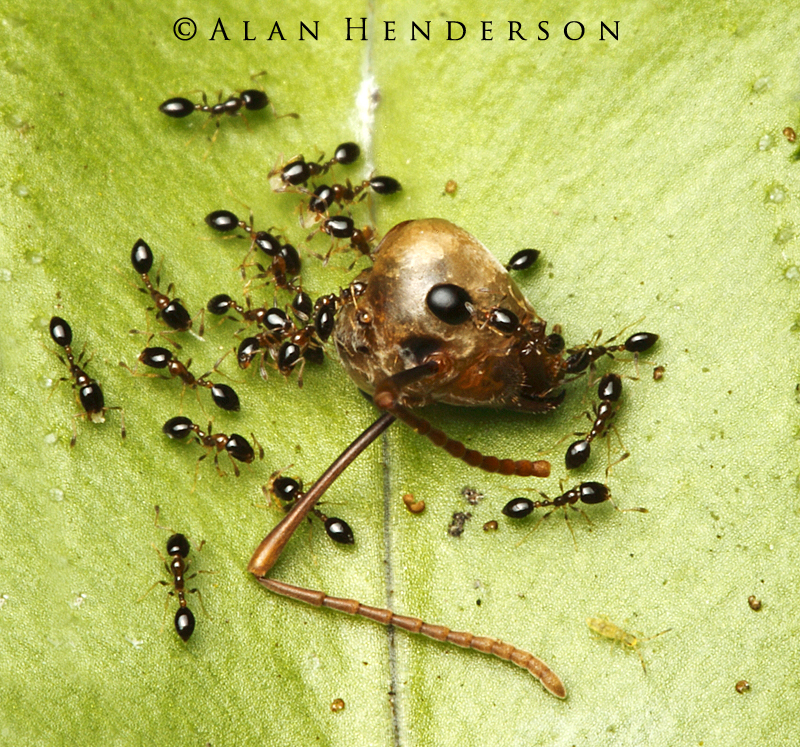 Green Tree Ants are one of the most dominant scavengers in this region. Colonies can be huge, occupying and completely dominating multiple large trees and the surrounding forest. They can be seen carting away all sorts of animals, both complete and dismembered. I once witnessed them carrying a small python up a tree in the Northern Territory. Tiny ants, barely 2mm long cart away a nice morsel for their colony; a Green Tree Ant head.